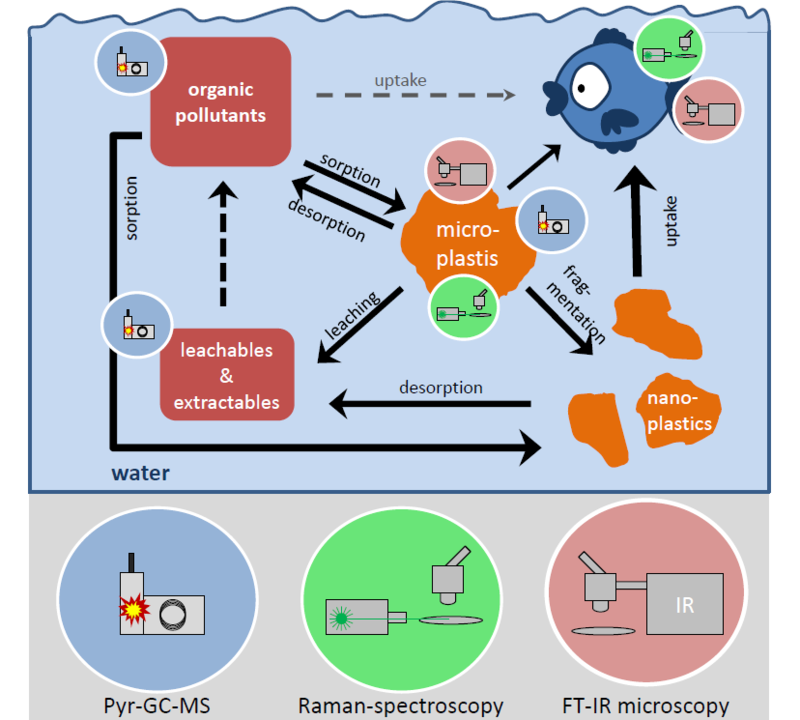 There is a high demand for easy, cheap, comparable, and robust methods for microplastic (MP) analysis, due to the ever-increasing public and scientific interest in (micro-) plastic pollution in the environment. Today, a multitude of methodologies for sampling, sample preparation, and analysis of MPs are in use. This feature article deals with the most prominent detection methods as well as with sampling strategies and sample preparation techniques. Special emphasis is on their benefits and challenges. Thus, spectroscopic methods, coupled with microscopy, require time-consuming sample preparation and extended measurement times, whereas thermo-analytical methods are faster but lack the ability to determine the size distribution in samples. To that effect, most of the described methods are applicable depending on the defined analytical question.